Keeping track of all your things can be a challenge. You could try just having fewer things, but that's no fun. Instead, why not get more things to keep track of the things you already have? Samsung has announced a device to accomplish precisely that. The SmartThings Tracker uses GPS and LTE to monitor the location of whatever you want, but you'll need to go through a carrier for the LTE service. The SmartThings Tracker is a small, white puck. Residing inside is a GPS tracker, battery, and LTE-M modem. LTE-M is a network technology designed specifically for IoT devices, which allows the SmartThings Tracker to relay its GPS coordinates from anyplace it gets an LTE signal. It plugs into the Samsung SmartThings app for real-time location tracking, geofencing, and automation. Samsung says it gets about a week of life per charge. Samsung is selling the SmartThings Tracker for $99.99 with shipments starting on September 14th. AT&T is the launch partner for the tracker, and you get a year of service when you buy the hardware. After that, AT&T service is $5 per month or $50 per year. SmartThings Tracker support will come to Verizon later this year, but it's unclear if there will be any free service deals on that carrier. 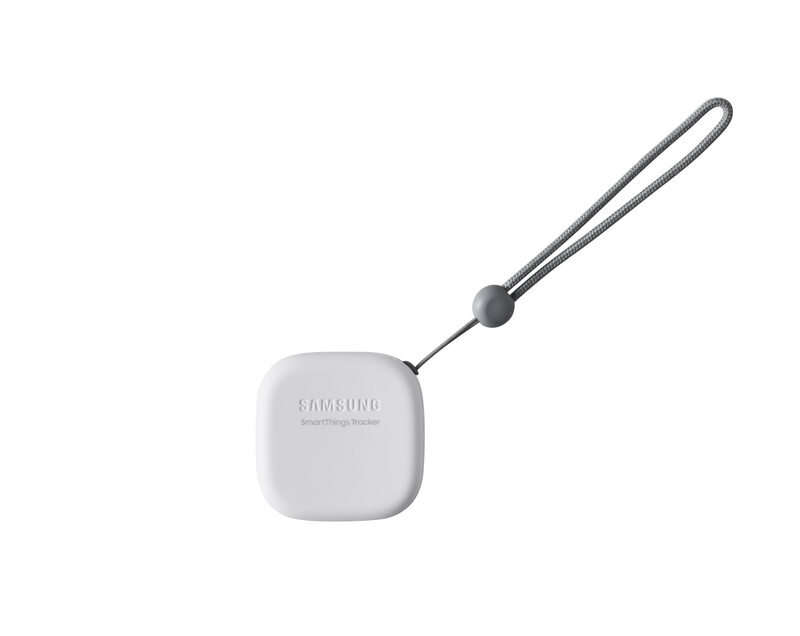 RIDGEFIELD PARK, N.J.--(BUSINESS WIRE)--Samsung Electronics America, Inc., today announced its new SmartThings Tracker, a small, lightweight GPS tracking device connected through an LTE-M1 network that can easily be attached to backpacks, a set of keys, pet collars and more. Now, people can quickly and more accurately keep track of their most valued items. With SmartThings Tracker, it’s easier to locate a gym bag or backpack lost at school, a laptop case left in the airport lounge, or a pet that might have wandered too far from home. 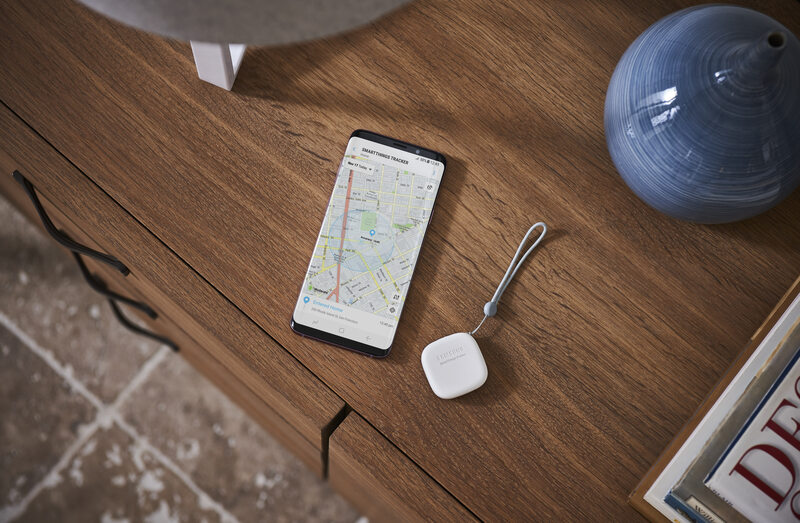 Items can be easily tracked in real time through Samsung’s Android and iOS compatible SmartThings app2. Family members can also use SmartThings Tracker to stay connected by sending a location notification to the SmartThings app that alerts the rest of the family of their whereabouts. And, since it is SmartThings-enabled, SmartThings Tracker can be used as an arrival sensor, triggering automations like a connected porch light turning on when the device is within range. Real-time location updates – Family members can share location updates by simply pushing the SmartThings Tracker’s power button twice which sends a notification to the SmartThings app. The alert can only be seen by users with shared access. They can also check on an item’s whereabouts by using the Live Tracking feature in the SmartThings app to get minute-by-minute location tracking for up to 10 minutes. Use the SmartThings app for more than tracking – When a geo-fenced zone is set up in the app, SmartThings users will get an alert when a tracker enters or exits a zone, such as a pet leaving the backyard. The SmartThings Tracker can also act as a proximity sensor to trigger smart home automations, like lights turning on when someone gets close to home or the thermostat turning down when the car pulls out of the driveway. It is compatible with hundreds of Works With SmartThings devices, including smart lights, thermostats, security cameras and more. Designed for rain or shine – Ideal for both indoor and outdoor use, the SmartThings Tracker is designed for durability, with an IP68 water-resistance rating. The battery can also last up to a week on a single charge4, depending on usage. SmartThings Tracker will be available through AT&T on September 14 and will be available through Verizon later this year. SmartThings Tracker retails for $99 with AT&T service included for the first 12 months at no additional charge. After the first 12 months pricing for AT&T service is $5 a month or $50 per year5. It is available starting September 14 on Samsung.com, select AT&T stores and other major retailers nationwide. For more information, please visit www.samsung.com/us/smartthings-tracker.